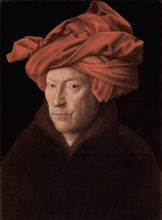 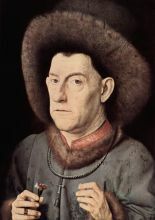 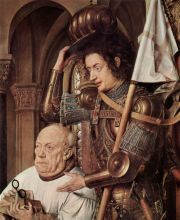 Jan van Eyck or Johannes de Eyck (pronounced: vān ike)(c. 1385 – July 9, 1441) was an Early Netherlandish painter who lived in the then Duchy of Burgundy and is considered one of the great painters of the late Middle Ages. 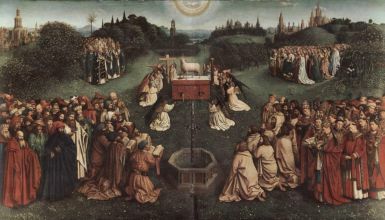 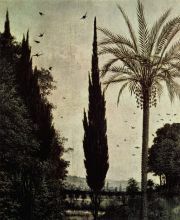 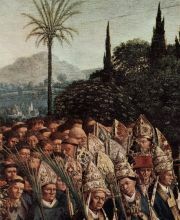 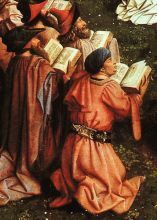 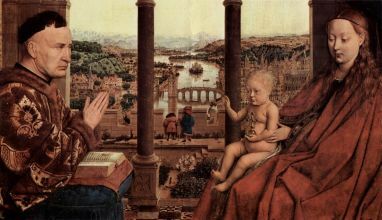 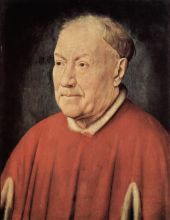 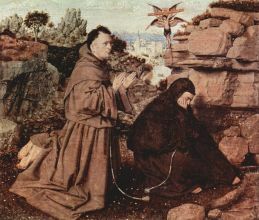 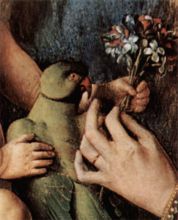 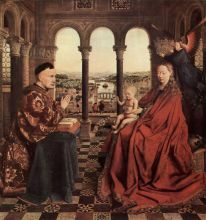 There is a common misconception, which dates back to the sixteenth-century writings of the Tuscan historiographer Giorgio Vasari, that Jan van Eyck created oil painting. 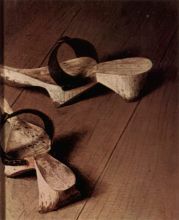 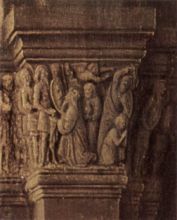 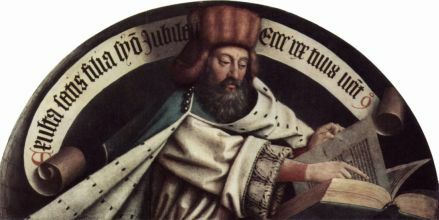 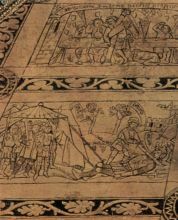 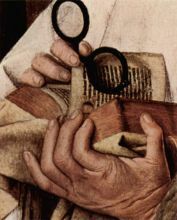 It is however true that he achieved, or perfected, new and remarkable effects using this technique. 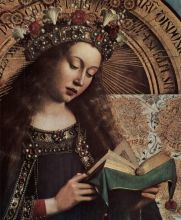 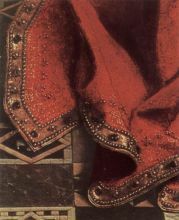 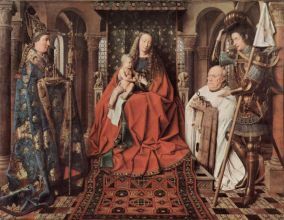 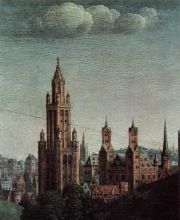 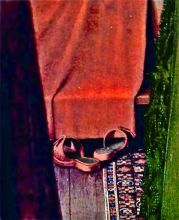 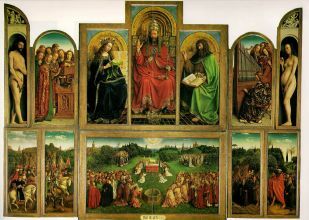 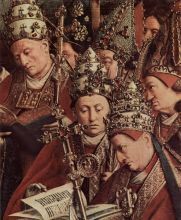 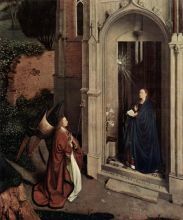 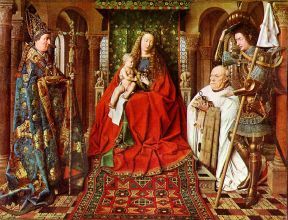 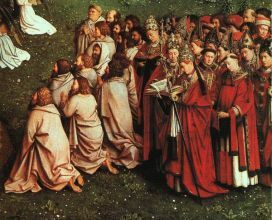 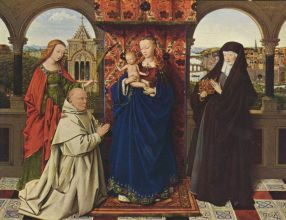 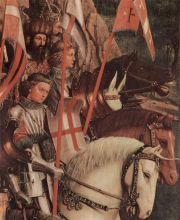 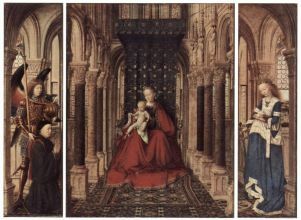 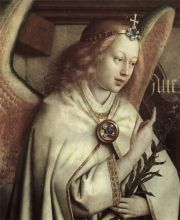 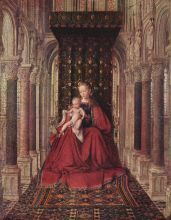 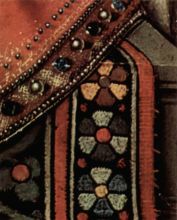 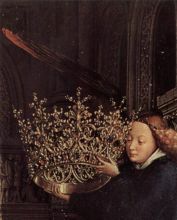 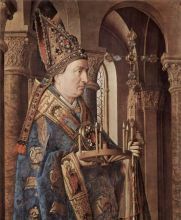 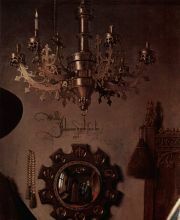 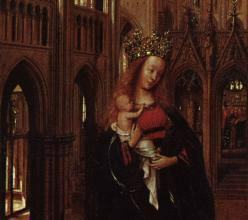 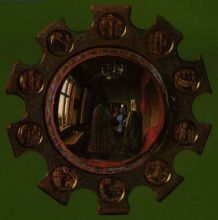 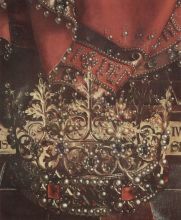 Jan van Eyck has often been linked as brother to painter and peer Hubert van Eyck, because both have been thought to originate from the same town, Maaseik in Limburg (Belgium). 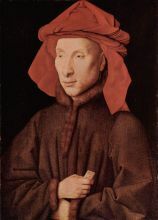 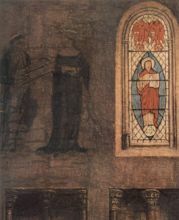 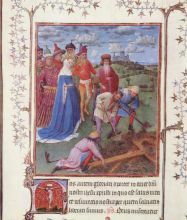 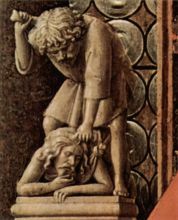 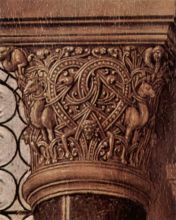 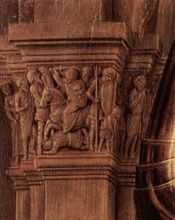 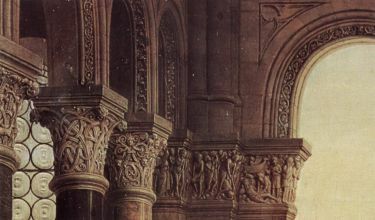 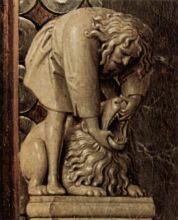 Another brother, Lambert van Eyck is mentioned in Burgundian court documents, and there is a conjecture that he too was a painter, and that he may have overseen the closing of Jan van Eyck's Bruges workshop. 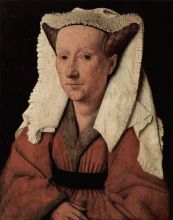 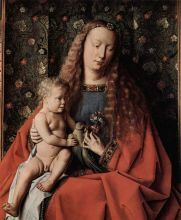 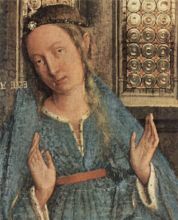 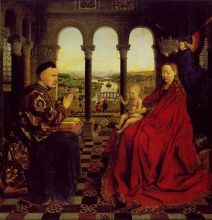 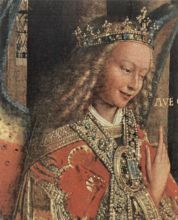 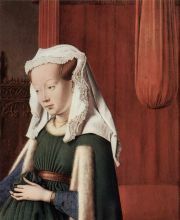 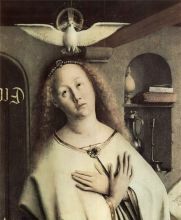 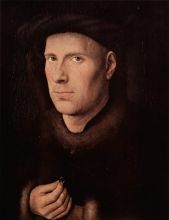 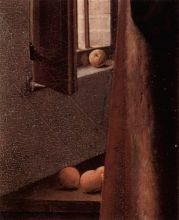 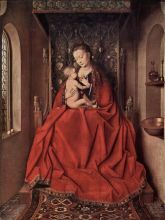 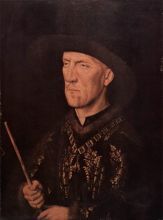 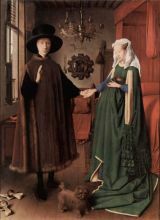 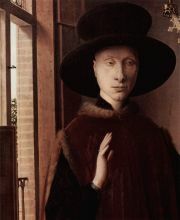 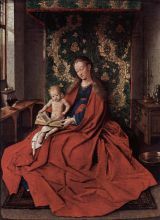 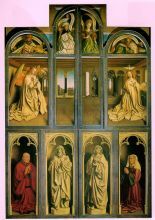 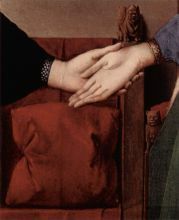 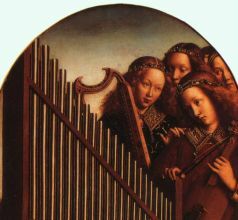 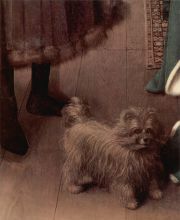 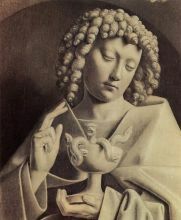 Another significant, and rather younger, painter who worked in Southern France, Barthélemy van Eyck, is presumed to be a relation.